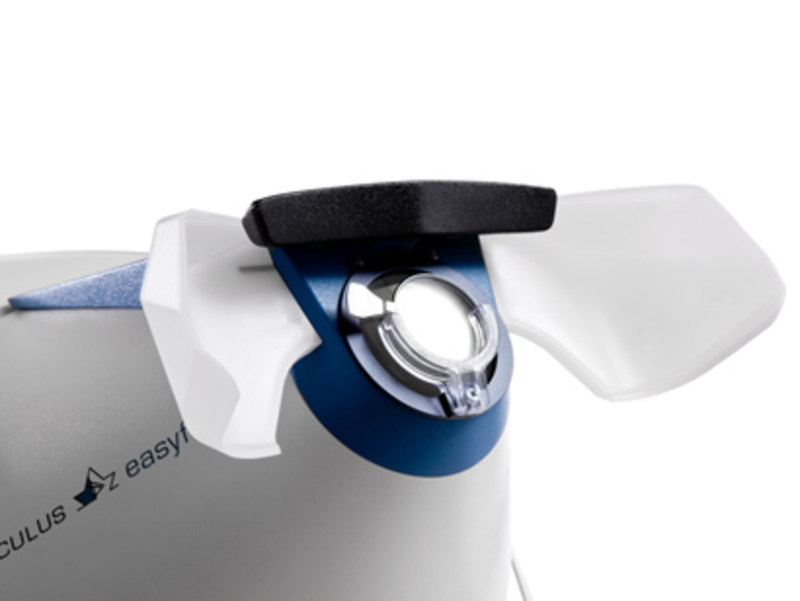 The OCULUS Easyfield® is a full-fledged compact perimeter capable of performing standard automated perimetry of the central visual field up to 30° eccentricity. It has been designed for the combined use as visual field screener and perimeter, offering features usually available only in large units. The spherical bowl with 30 cm (11.81”) radius is enclosed into an ergonomically movable cone equipped with a distance adapted lens. The Easyfield® conforms to the Goldmann standard and fulfills the ISO-12866 norm for perimeters. Measurements of the Easyfield® are carried out using a LED grid with 135 fixed test locations, including the common 30-2, 24-2 and 10-2 patterns. The novel SPARK test strategy leads to faster and more stable threshold tests providing improved diagnostic capabilities. 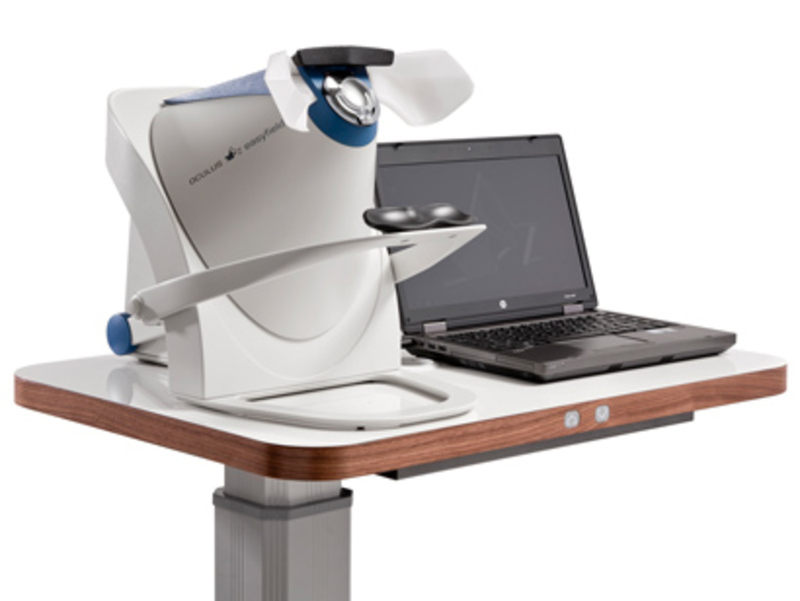 Besides the standard field indices the Easyfield® delivers evaluations of the innovative Glaucoma Staging Program (GSP) and the classifications provided by the Glaucoma Staging System (GSS 2).